All-inclusive resorts are a great option for family vacations—simply because they remove a lot of the decision-making stress! Where to eat, what to do, where are the kid-friendly spaces, and where can we get some adult time? 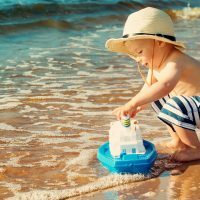 These questions are already answered at an all-inclusive resort, where meals, drinks, activities and even childcare are usually included in the price of your stay. We’ve combed through some of the best all-inclusive family resorts around the globe to help you choose your next blissfully decision-free family trip. These are the best all-inclusive family resorts in the world. 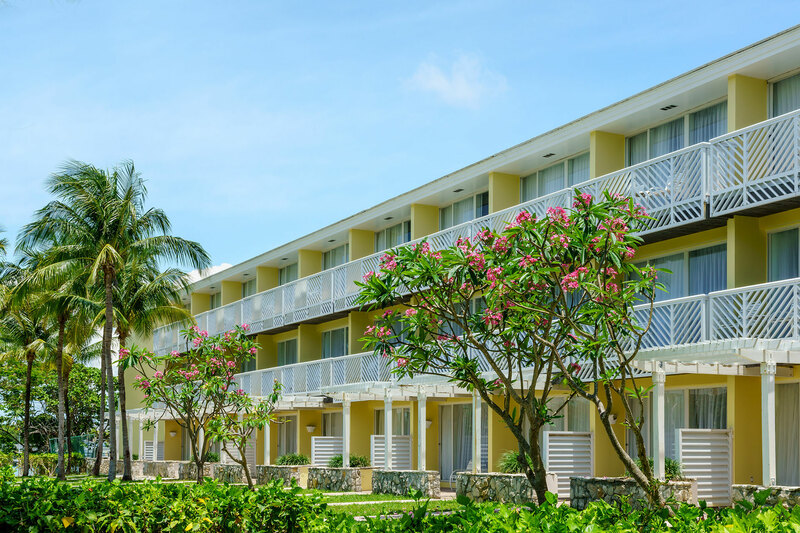 Located on 85 acres, including a mile-long white sand beach, Coconut Bay Beach Resort & Spa is also close to the airport and offers all the major amenities you’d expect from a big resort, including the largest water park on the island. Accommodations: The resort offers 250 rooms, with a separate wing called Splash just for families. Rooms have one king bed with twin trundle beds or two queen beds and sofa. You’ll receive a family welcome pack and a daily themed family amenity delivered to your room. Food and Drink: There are nine onsite restaurants and seven bars that serve top-shelf liquor, beers and European house wines. Why Kids Love It: The CocoLand Kidz Club offers activities for infants to 12-year-olds with a mini-zipline, mini-rock climbing wall, water playground and more. Parents will receive a cell phone to keep tabs on their kids. There’s also a teen program that offers glow beach parties, introductory kite surfing and karaoke. A round of family paintball is included with your stay. Why Adults Love It: There are no additional resort fees, and airport transportation is included. There’s an onsite spa, two adults-only pools, and rum tasting, dance classes and oceanfront yoga. Opened in 2017, Hotel Xcaret is located between the beach and cenotes (swimming pools in natural sinkholes), and offers free access to eight local nature preserves and tours, including Mayan ruins such as Chichen Itza. Accommodations: Suites offer hammocks on private balconies, plus outdoor showers and tubs, and some offer private swim-up pools off the patio. Food and Drink: The hotel has 10 restaurants and 8 bars showcasing upscale Mexican cuisine. Why Kids Love It: Programs tailored especially to kids at the Xiiquillos Kids Club and the Xiipaal Teens Club are included. Why Adults Love It: The resort provides an ideal home base for exploring the Riviera Maya and its many cultural marvels—with or without kids. The onsite spa includes treatments that take place in natural cave openings. 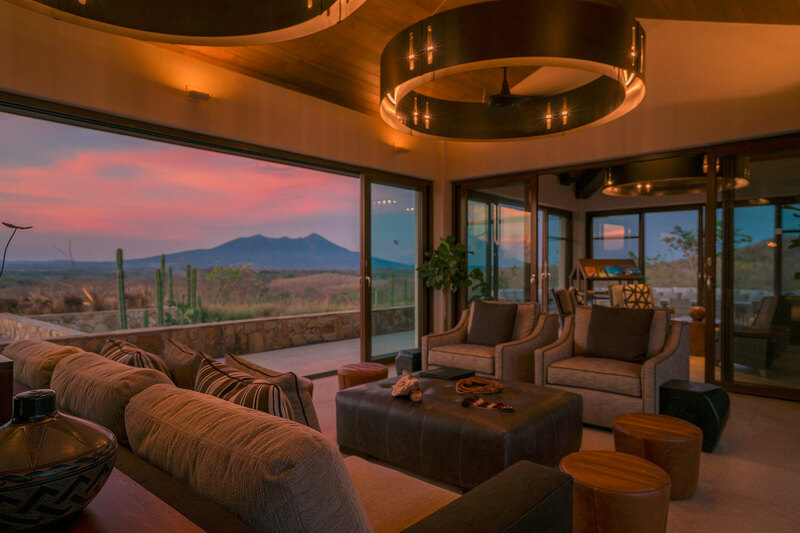 Nekupe is Nicaragua’s first luxury countryside resort, offering accommodations on a 1,800-acre natural reserve. The word “Nekupe” means “heaven” in the Chorotega indigenous language. You’ll have views of the Mombacho Volcano while at the resort. Accommodations: There are just eight accommodations at this exclusive resort, providing private soaking tubs, Jacuzzis and beautiful forest views. Food and Drink: The farm-to-table meals, which showcase Nicaraguan cooking, come from the fresh produce grown right on the property. Why Kids Love It: There’s an animal sanctuary and refuge on the property, including spider and howler monkeys, deer, foxes, sloths, birds and butterflies, and kids will love zooming around on the ATVs, which are issued to adult guests to explore the reserve. Why Adults Love It: Cigar-rolling and cocktail mixing classes are offered, in addition to dancing, cooking and painting classes, plus daily indoor and outdoor yoga. Parents can also indulge in nature-based treatments at the spa. 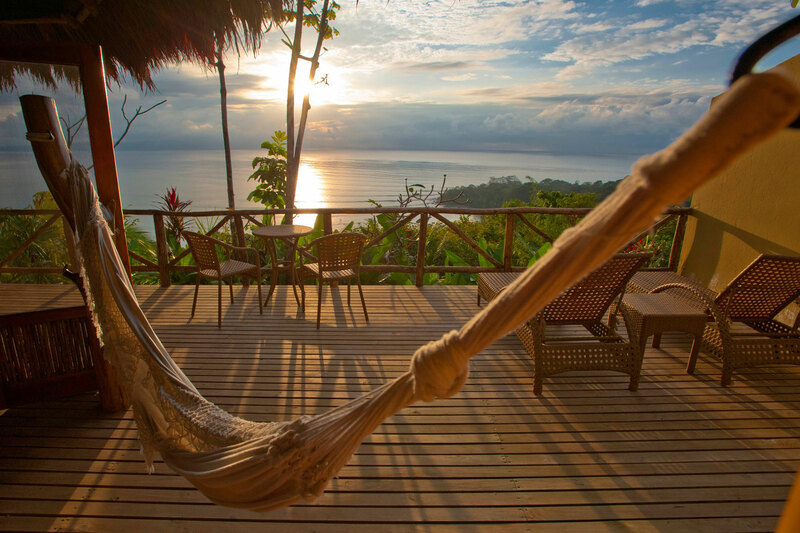 Situated on a private Costa Rican nature preserve with 900 acres of lowland tropical rainforest, Lapa Rios offers an unforgettable nature immersive experience to guests. Accommodations: Choose one of 17 luxury bungalows with open-air screens, a private deck and outdoor rain shower. Your king bed or two queen-sized beds will include canopy nets. Food and Drink: Three a la carte meals are included daily, as well as snacks and non-alcoholic beverages in the onsite, open-air restaurant (or make a reservation for an exclusive waterfall luncheon). Kids’ menus are available. Why Kids Love It: Wildlife talks, cooking demonstrations and waterfall hikes all combine to create great memories for young explorers. Kids can plant and name their own tree in the volunteer secondary rainforest. 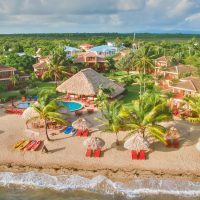 Why Adults Love It: This resort offers plenty of educational opportunities and lessons in conservation for eco-minded parents. But it also provides time for sipping watermelon water by the chemical-free pool overlooking the Golfo Dulce and Pacific Ocean. 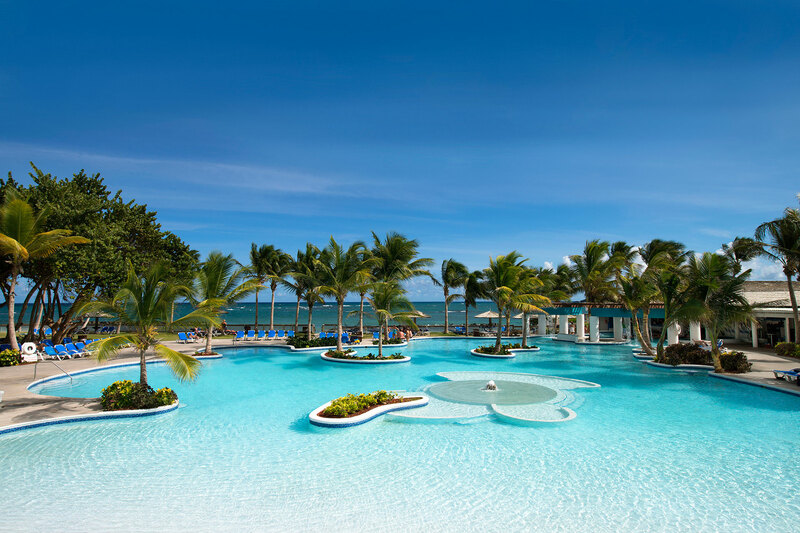 Situated on Bavaro Beach, Royalton Bavaro is a new all-inclusive family resort in the Dominican Republic. It opened in January, 2018. 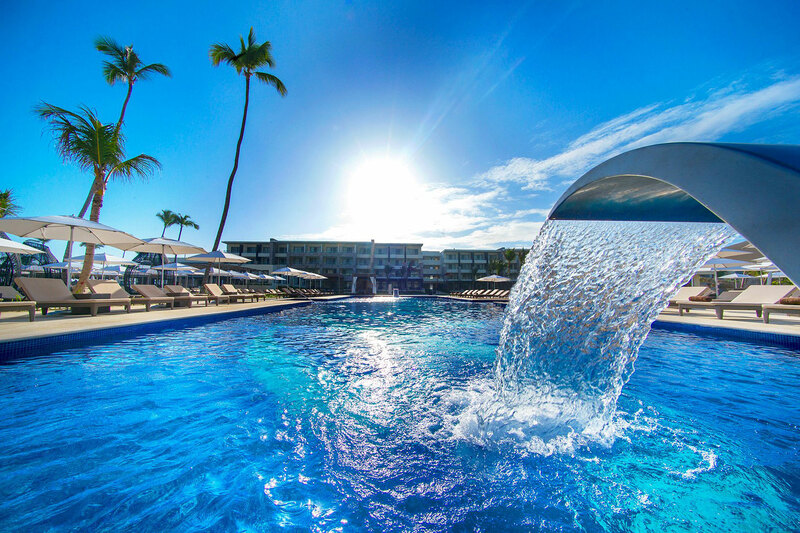 Accommodations: The resort offers 730 rooms, each with signature DreamBeds, rain showers and views of gardens or the ocean—or even swim-up rooms. Food and Drink: There are nine restaurants and eight bars, offering a mix of buffets, casual and international cuisine. Why Kids Love It: There’s an onsite FlowRider surf machine that helps kids hone their surf skills, plus mini-golf and a 1,200-foot lazy river. There’s also a Clubhouse Kids Club for kids ages 4 to 12, as well as a Hangout Teens Club with a video game lounge and other activities. Why Adults Love It: There’s an onsite casino and full-service spa. The resort also takes sports seriously with a Sports Event Guarantee to ensure that the most popular sporting events are tuned up for fans in the sports bar. 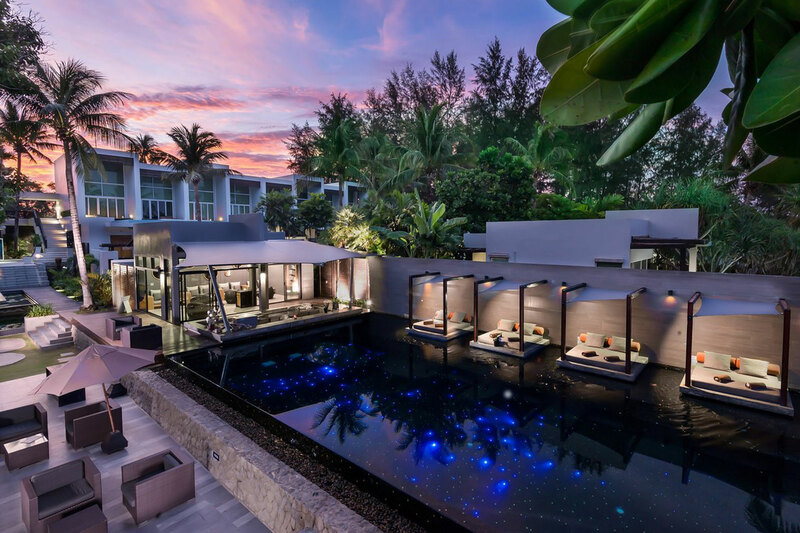 At Aleenta Phuket, you’ll find lovely sunset views on Natai Beach. Guests can opt for an all-inclusive package for a modest additional price. Accommodations: The resort offers a range of accommodation options, from stylish garden-facing rooms to five-bedroom beachfront villas. Food and Drink: Enjoy a refreshing welcome drink, a daily gourmet breakfast and lunch and dinner from the resort’s open-air, beachfront restaurants. Why Kids Love It: There’s an onsite kids’ Explorers’ Club at Aleenta Phuket that offers daily activities. Babysitting services are also available. Family tours can be booked to local temples, a turtle sanctuary and a waterfall. Why Adults Love It: Your all-inclusive package also includes a two-hour spa treatment; you can even enjoy a beach massage if you wish. There’s surfing, paddleboarding, Tai Chi classes and beach yoga. 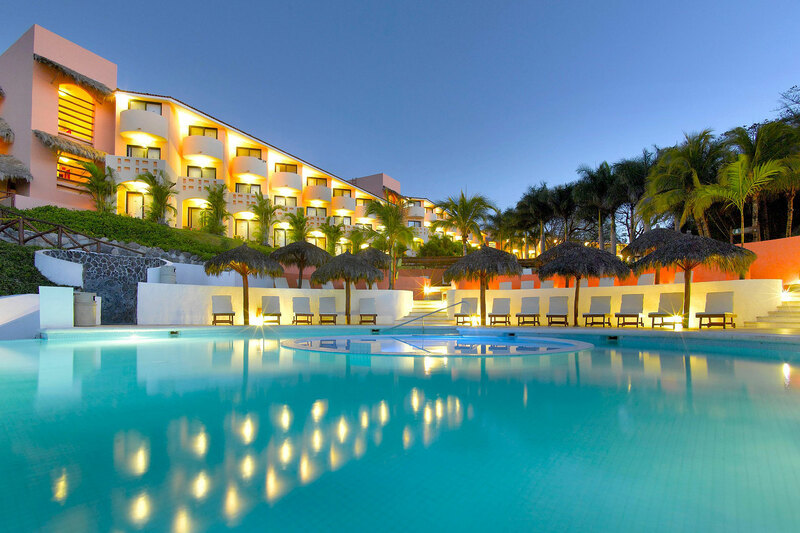 Built on a hill, Grand Palladium Vallarta Resort & Spa offers a private beach, two swimming pools and a saltwater pool. Accommodations: Rooms all include hydrotherapy bathtubs. You can order body oils from an aromatherapy menu or customize your pillows to suit your preferences. Food and Drink: There are two buffet restaurants and four a la carte restaurants, plus a sports bar with snack service, as well as seven bars throughout the property. Why Kids Love It: The recently renovated Mini Club offers supervised activities for kids, such as arts and crafts, video games, a theater and activities that help educate them about nature. There’s also a baby club for ages 1 to 3, and a Black & White Junior Club for teens with a disco. A new premium Family Selection program offers in-suite milk and cookies at turndown, a prepared bubble bath with bath toys, mini bathrobes and slippers. Why Adults Love It: The kids’ clubs are open until 11 p.m. and babysitting can also be arranged, allowing ample time for date night and for using the adults-only infinity pool. The Family Selection package offers a complimentary laundry service before departure, as well as unpacking and packing services so nothing feels like a chore on vacation. This all-inclusive resort is on the coast of Grand Bahama Island, overlooking 7.5 acres of white sand beach, including two pools, a spa and a golf course. The all-inclusive rate at Lighthouse Pointe includes your gratuities. Accommodations: The bright and cheery rooms offer private balconies with views of the ocean or gardens. Food and Drink: There are four onsite restaurants and cocktails (premium alcohol is included). 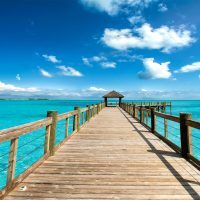 There are also weekly beach barbecues, a fish fry and a Bahamian buffet. Why Kids Love It: Children ages 4 and up can participate in the kids’ club, which offers arts and crafts, scavenger hunts and beach games. Why Adults Love It: Enjoy access to horseback riding, an onsite spa, fitness center and tennis courts. There are poolside movie nights and weekly Champagne brunches. Your stay also includes unlimited access to the 18-hole championship golf course onsite, The Reef Course. Club Med’s well-known worldwide all-inclusive resorts span most of the globe, from Morocco to the Caribbean—and even a U.S. property, Club Med Sandpiper Bay in Florida. Club Med Grand Massif Samoens Morillon opened in France’s Plateau des Saix, close to Geneva and Annecy, in late 2017, and is a ski-in, ski-out resort that offers stunning mountainside views. Accommodations: The resort offers 382 rooms with chic, contemporary decor. 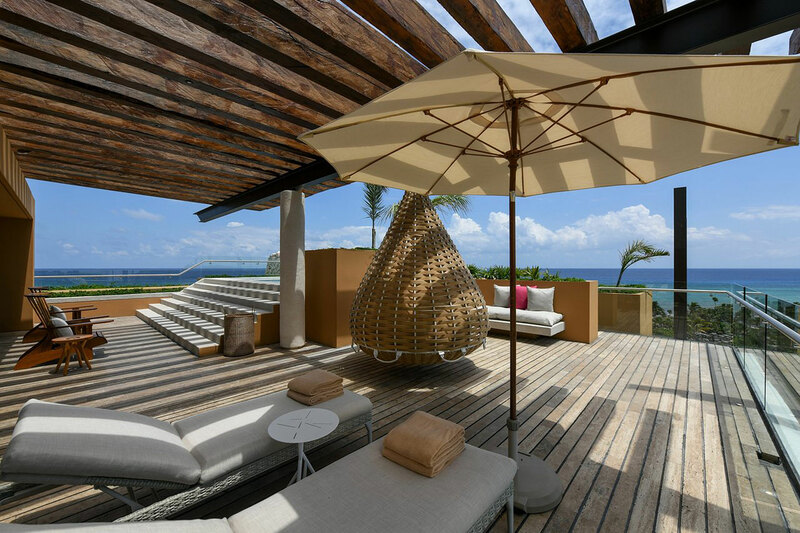 Some rooms have balconies and lounge areas. 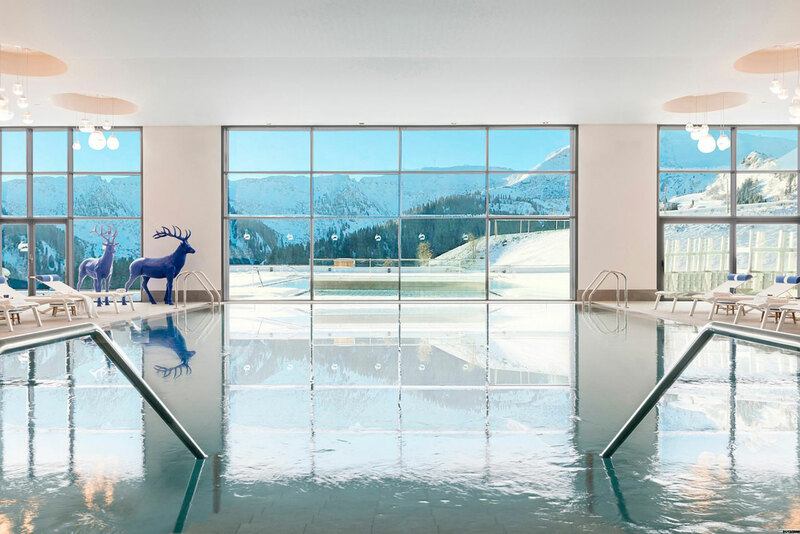 There are indoor and outdoor pools for relaxing after a day on the slopes. Food and Drink: All-day gourmet dining and an open bar are included with your stay, with your choice of three restaurants, including a main restaurant, a gourmet lounge and a family restaurant. The menu for the onsite Skyline Gourmet Lounge was designed by two-star Michelin chef Edouard Loubet, while the family restaurant makes the meal a special occasion. Why Kids Love It: In addition to the resort chain’s renowned kids’ clubs (Baby Club Med from 4 to 23 months, Petit Club Med for 2- to 3-year-olds, Mini Club Med for 4- to 10-year-olds and Club Med Passworld for 11 to 17), this particular resort offers ski instruction for kids starting at age 4 and snowboarding at age 12 (or 8 during French school holidays). Kids can also go sledding and participate in snowman building competitions. Why Adults Love It: An on-site spa, a sleek bar and inclusive ski lift tickets and lessons—plus childcare while you enjoy a quiet dinner— adds up to one incredible vacation in the French Alps.